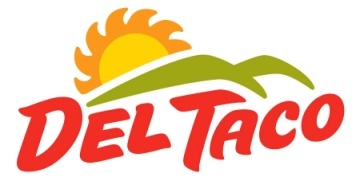 The TGIF edition of MRM’s Daily Bite features MSL, iPic Entertainment, Etch, daRosario Organics and Del Taco. The food market will experience rapid evolution in 2018, according to sector experts at MSL. A broad array of technological innovations will make it easier to acquire and consume foods and beverages tailored to our specific food needs, speeds and philosophies. These insights emerge from the MSL’s annual analysis of top food trends. Past forecasts have spotted the emergence of major marketplace successes, including turmeric, coconut, ugly produce, food waste reduction and coffee as an ingredient. Clean Packaging: Building on the clean ingredients drive, brands will now want to look as clean as they are inside. Plant Milks and Butchery: Almond milk was the gateway food. Now we want coconut yogurt, vegetable steaks, squash pasta, and more. Instant Gratification: In a modern gold rush, competing food delivery solutions are racing to close the gap between hunger and satiation. Regional Artisan Dairy: Drinking milk may be on the outs, but grass-fed and cultured dairy products, touting local terroir, are screaming for attention. It’s local, artisan, probiotic, and Instagramable. Retail Experimentation: Amazon is scaring food retailers into a frenzy of innovation. Expect a buyer’s market, rich with entertainment and special offers in-store and personalized inducements online. Ultra-Personalization: We’ve gotten very picky with our food choices, guarding against allergies and intolerance, accounting for genetics, catering to our latest dietary system. Food makers are responding in kind. 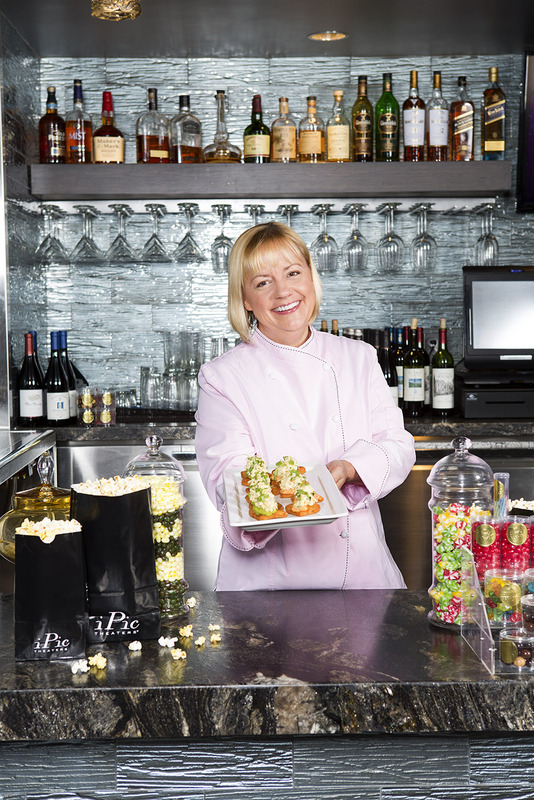 Sherry Yard was promoted to the role of Chief Operating Officer for iPic® Entertainment. Yard joined iPic® Entertainment as SVP of Culinary Brand Development in February 2014 after consulting with the brand for a year and was appointed COO of Tuck Hospitality Group, iPic® Entertainment’s restaurant division October 2016. As COO of iPic®, Yard will ensure an elevated guest experience within all iPic® theater and Tuck Hospitality owned restaurant operations nationwide. Yard’s new role will support iPic®’s brand culture in addition to designing and shaping new iPic® locations along with iPic®-owned Tuck Hospitality Group destination bar/restaurants. “Sherry Yard brings three decades of prized hospitality operations experience to our executive team. She has served as an invaluable member of the iPic corporate team for nearly five years, conceptualizing and championing our iPic and Tuck Hospitality group restaurant portfolio into award-winning destinations. As we continue to grow operations exponentially nationally, her COO appointment will be essential in ensuring superior quality and consistency across existing and future iPic sites,” said Hamid Hashemi, founder and CEO of iPic® Entertainment. As iPic® Entertainment’s second in command, she will work closely with Finance, Marketing, IT and Human Resources and will execute operations in food, beverage, hospitality and creative innovation. She will establish and enforce policies, brand culture and strategic vision pertaining to management of theater operations, iPic® live stage performances and special events related to Access, iPic®’s new membership rewards program. Yard will additionally continue her management of the food and beverage program for iPic® Theaters and all Tuck Hospitality Group independent destination restaurant and bars: The Tuck Room Tavern in Westwood; The Tuck Room – a Dining and Drinking Den with locations in North Miami Beach, Houston, and New York City, City Perch Kitchen + Bar, an American Dining Room in Bethesda, Fort Lee and Dobbs Ferry and Tanzy Restaurant, Artisanal Italian cuisine with locations in Boca Raton and Scottsdale. A three-time James Beard Award-winning chef, frequent Food Network TV personality and culinary judge, Yard has received recognition from renowned publications such as, Food and Wine and Bon Appetit Magazines, and more, along with authoring two successful cookbooks. She sits on the boards of numerous philanthropic organizations and is a driving force of the Careers through Culinary Arts Program (C-CAP). She is involved in fundraising efforts for the Women’s Cancer Research Center, Special Olympics, American Cancer Society and City Meals-on-Wheels. 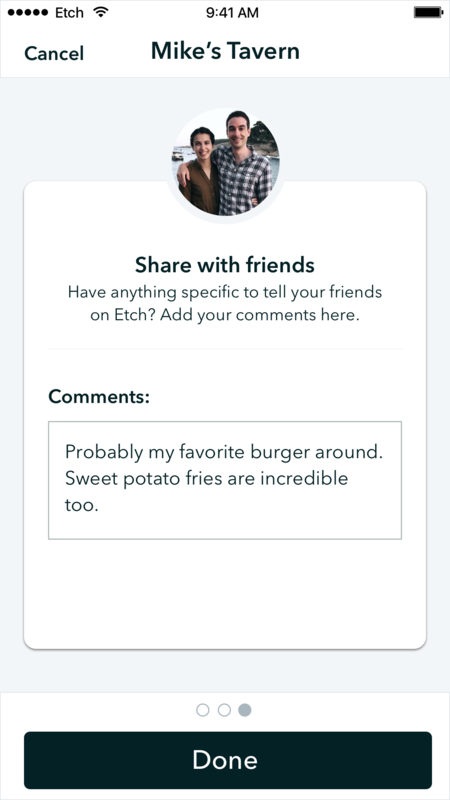 Etch is launching a new feature that will allow people to send feedback directly to restaurants and bars. 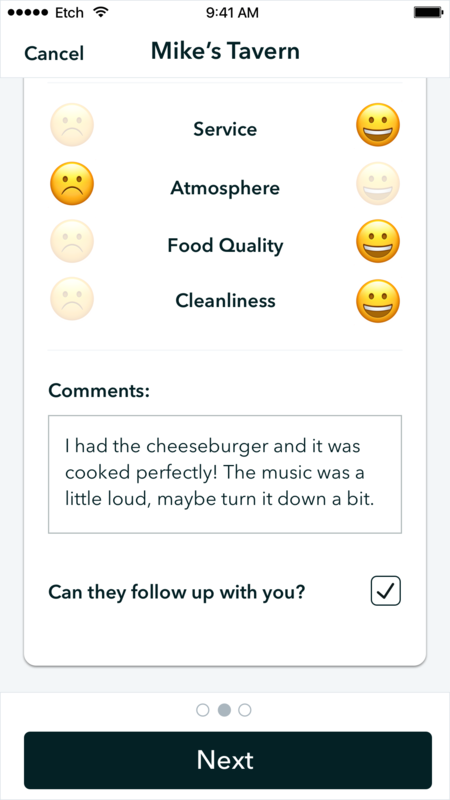 Anyone with the app can rate the various aspects of their experience from food quality to service and provide general comments. This information will only be shared with the business owners and/or management team. The team at Etch is looking for restaurants or bars to participate in a pilot program. There are no costs to join. To learn more or sign up, click here. Etch was started after the co-founders visited a rooftop bar in New York City, and a couple weeks later they couldn’t remember the name. They wanted a simple way to keep track of places they loved. A way to Etch it so they would never forget it, which is the origin for the name of the app. daRosario Organics, the nation’s only producer of 100-percent USDA certified organic truffle products will debut a new line of single-serve packaging in early 2018, the first in market for wholesale and retail food service distribution. Products will include individual packets of certified organic white and black truffle oil, white truffle acacia honey, white and black truffle mayonnaise, white and black truffle vegannaise, and extra virgin olive oil. The packets will enable food retailers to offer customers gourmet condiments made with 100-percent real truffles as an enhancement to their existing menu. Responding to industry requests, daRosario Organics invested in the special equipment needed to provide these products in single-serve portions. Del Taco Restaurants, Inc. celebrated the grand opening of its 38th Las Vegas-area location at 8125 Blue Diamond Rd., near Albertsons. Del Taco has more than 550 locations across 15 states.